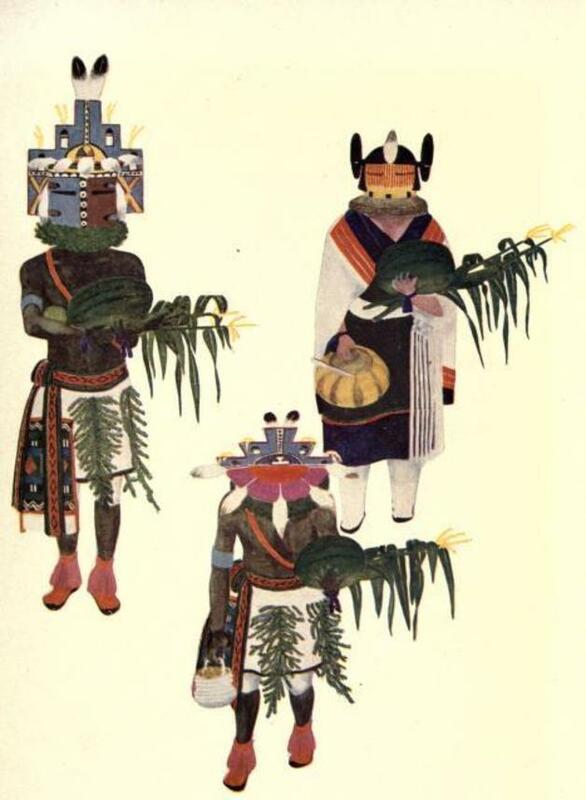 “The Indians were having a big Kachina dance.” Illustration by Fred Kabotie, published in Taytay’s Tales by Elizabeth Willis DeHuff (1922), Harcourt, Brace and Company. “How can we get down the cliff?” asked one fox. So the first fox started down the cliff; the second fox caught and held his tail tight between his teeth. The third fox caught the second fox’s tail; the fourth fox held the third fox’s tail; and so on until each fox held another fox’s tail and they made a long chain down the steep cliff.